I liked the work and I fell in love with the creativity it transmitted to me. I wanted to understand the secrets and the subtle nuances found in the vine, the perfume of grapes, the mechanisms that determine choice and selection of woods, the times for ageing and the definition of the best period for bottling, all in a continual metamorphosis and adapting to the evolution of the seasons. 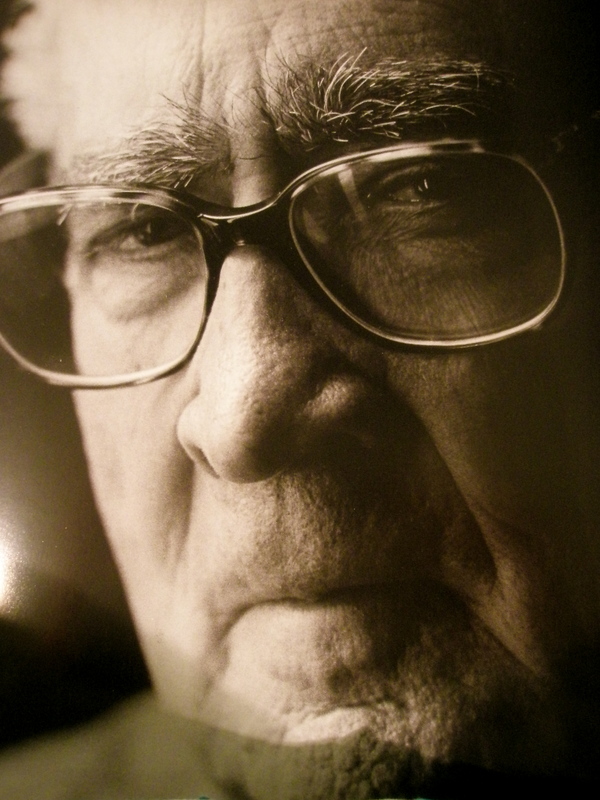 I understood and I set out in ’78 to find the best grapes, the best land to plant my vines on and the best wood. And I let my wines age for the right time before marketing them. These choices went against the trend of the period by – with the greatest respect for other people’s choices – I always went my own way. Mr Giacosa has two labels for his estates. One is simply titled Casa Vinicola Bruno Giacosa and encapsulates the grapes purchased from long-standing relationships with growers that are then vinified at the cellars in Neive, Piemonte. The other label is produced from grapes grown in vineyards owned by the Giacosa family and vinified in the cellars. These wines bear the name Azienda Agricola Falletto di Bruno Giacosa. The Riserva concept is quite a feature of Mr Giacosa, where he is adamant of refusing a vintage should it not be up to the standards he sees fit for his particular wines. Such was the case in 2006, a good vintage for most producers, but one in which Mr Giacosa confessed, “I just don’t like the quality of the wines. I just don’t like the way they are. They are not good enough for me. So I am not going to bottle them.” Controversial words, but the year was also difficult for personal reasons as he suffered a stroke that kept him absent from the cellar during vintage. The factor that made me me want to write about Bruno Giacosa of late, was that I was able to share one of his more money-friendly buys (OK, so it probably was around $50 AUD but for Giacosa standards that’s sort of, almost, kinda normal) with a good winemaking friend over a delicious Italian pizza at DOC in Carlton, Melbourne. It was his Dolcetto d’Alba 2007. I’ve had his Barbaresco Santo Stefano 2007 at the Lorenzo Galli scholarship back in January this year where it really shone through amongst other commendable Barbaresco wines. I picked this up as the last bottle from a sale at the Prince in South Melbourne. I know that Boccaccio’s have some of the 2009 currently in stock, but I doubt you’d come across the 2007 any more to be honest. I don’t mind getting the scraps that others may neglect and forget about. Actually, I need to write a little snippet about Dolcetto soon. It’s a highly underestimated and neglected variety that needs a little love. The reason why you probably wouldn’t find a 2007 Dolcetto around is because it is a variety and style of wine that is meant to be consumed in the prime of its youth. Along with the likes of classic unoaked Barbera (another Piemontese delight), Dolcetto is not a grape with a high degree of natural grape skin tannins, nor is it made in a style that would promote long-term ageing. Yet, here we are, in 2011, and there I was just over a week ago, having a 2007 Dolcetto that defied the test of time. This looked great in the glass, a really deep encouraging violet. 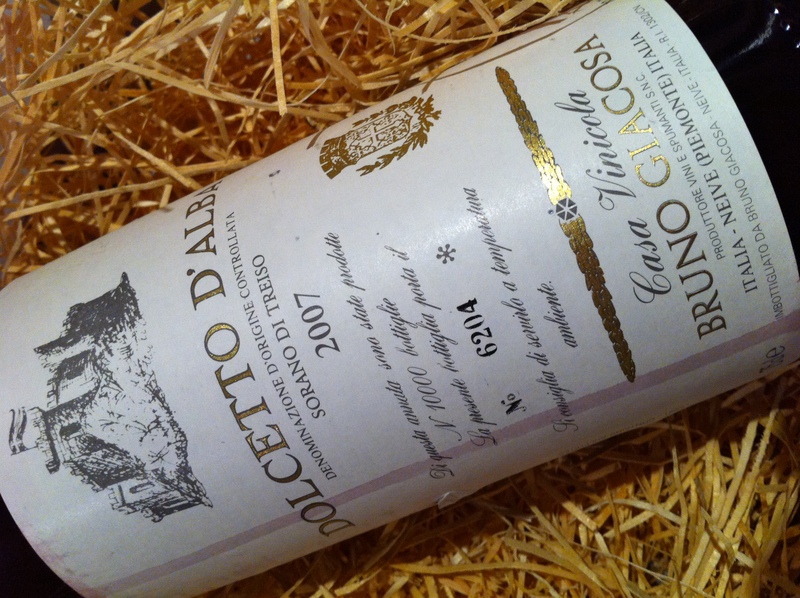 Not having had an ‘older’ Dolcetto in the past, I wasn’t sure what to expect in the way of perfume and flavour. The nose was actually lovely and savoury now with hints of liquorice and lavender oddly enough! It was more the strength of this wine on the palate that was really impressive though. The 2007 harvest was mild and a longer growing season had in Piemonte in general. Yields were also about 15% down compared to the previous year which generally shows in better fruit concentration in the resultant wines. The Dolcetto had hints of aniseed and less of that cherry quality you expect when it is younger. There was this fantastic inky quality to the wine that I’ll attribute to the grape quality standards of Mr Giacosa, that gives the wine such unconventional length. This Dolcetto had no sweet-red fruit character about it at all. I’ll call her Signora Dolcetto, the mature, classy lady who is still going places despite most people neglecting her because of a few wrinkles.